If the cat is terminally ill and her treatment does not bring results, then a veterinarian can alleviate the suffering of the animal in a humane way. This method is called euthanasia. The medical term euthanasia. Indications for euthanasia cats can be cancer last stage and other incurable diseases, which the animal experiences pain and suffering. The decision about the euthanasia of your animal receives only the owner, a veterinarian offering this method of relief of suffering after been tested all treatment options cats. Euthanasia of the animal may only be conducted in specialized facilities or veterinary clinics where this procedure is allowed by the parent services. This procedure is performed by your veterinarian. If the decision of the owner about knocking out the cat firmly accepted, he signs the written consent. The document explains what euthanasia, describes the surgery itself and the fact that the owner agree to carry it out. Euthanasia of cats can be assigned and old animals that refuse to make their own food due to exacerbation of chronic diseases. If the owner of the animal has no opportunity to bring the cat to the clinic, you can call a specialist at home. The whole procedure of euthanasia will take place in the same sequence, only at home. The procedure itself should take place in several stages. First put the injection, a muscle relaxant, in which the animal is completely relaxed. In a few minutes you can enter the primary anesthesia, while the cat will be a complete loss of sensitivity to the environment. However, she feels nothing and hears others. Some older animals at this stage of deep sleep there is a cessation of heart and respiration. If the anesthesia is administered intravenously, the physician may exceed the dose, and the cat will die in anesthesia. The next stage of slumber is the introduction into the heart muscle of the drug, which immediately stops the heart. The cat feels nothing. After done all the procedures for euthanasia, the doctor listens to the heart with a stethoscope. After the introduction of the last injection in cats can be some reflexive movement. 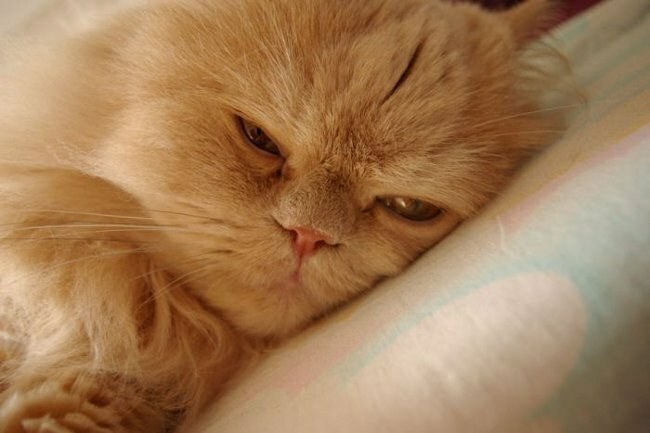 Euthanasia of cats is a psychological trauma for a pet owner, you need to be prepared for the psychological changes, it is possible to bring relatives who will support and reassure the owner of the cat. The method of euthanasia depends on the disease and the age of the cat and was appointed veterinary doctor on their own. At the request of the owners of the corpse of a cat are cremated or given to self-burial. If the owner of a cat cannot pick up the corpse of an animal, he has the right to leave him in a veterinary clinic, disposal of the animal will be held at public expense. Euthanasia home pet is very difficult in all aspects of the procedure for the owner of the animal. The prevailing psychological factor here is the human desire to save the pet from suffering. Any other case rests solely on the conscience of the owner. Today euthanasia of cats and all related activities can be entrusted to professionals. Taking in your own home a little kitten, the person takes responsibility for the life of another being. In the process of leaving the host is bound to the cat, cares for her, watches over the health, corrects the behavior. Time passes, and a cat live his life to the statutory limit. Age-related illnesses, injuries, infections begin to cause them suffering, but to help them can not nothing. Indications for euthanasia of a pet are the following diseases: Oncology, trauma, incurable infection. Animal suffering and unable to lead an independent life. Basis for dogs are: rabies in the explicit stage with the manifestation of symptoms and chronic diseases that cause animal suffering. 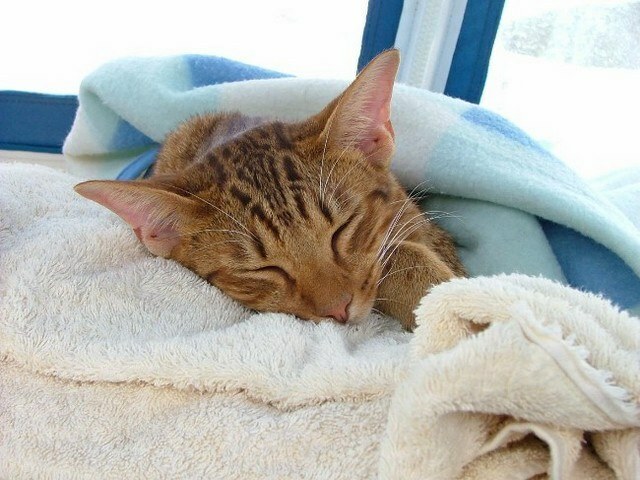 In severe cases, a sick and suffering cat veterinarians recommend themselves to sleep that is more humane solution than to look at the suffering animal and to prolong its suffering. Large veterinary clinics provide the procedure of slumber, and then disposal or cremation of animals. The cat's body after euthanasia might be buried in special cemeteries of Pets, dispose of utilizada for the disposal of biowaste or cremated in private crematoriums, at the option of the owner. There are organizations that are engaged only in ritual services for Pets, with this special permission from the authorities. Before you put down a cat immersed in deep anesthesia, i.e., lead to a state when the mind is fully disabled. This step is required. For the introduction of anesthesia, drugs used analgesics. Their objective is to introduce the animal into unconsciousness, not blocking vital functions. Only after diving into a deep state of anesthesia muscle relaxants are introduced, which either interrupt the functioning of the heart or inhibit the respiratory center. Thus, euthanasia is directed by two shots, and between the first and second time needs to pass so the cat managed to fall into unconscious and not feel pain. Professional veterinarians will never insist on the decision to euthanize the animal. They will allow the owners to think about the situation and also to diagnose the health of the pet and other professionals will listen to opposite opinion. With the intention to euthanize the animal should ever be rushed.